Why should you create a newsletter? Email newsletters may have been around for years but in a world of WhatsApp groups, endless text chains, and confusing message boards, newsletters are still one of the best ways to keep people informed. Whether you send them daily, weekly or monthly, a newsletter that’s fun, visually engaging and packed with valuable information is always going to be a welcome sight in anyone’s inbox. Newsletters can also help to build a community. They can help schools to connect with parents, publishers talk to their audience, musicians engage with their fans, and businesses interact with their clients. If you’re a teacher, then you already know how important it is to have regular contact with parents and the school community at large. Create a visual, fun, and engaging newsletter and you’ll be able to build a feeling of trust and understanding that can only benefit the school. You could even include resources and tasks that can help parents reinforce the lessons that their children have learned at school. Feeling inspired? If you’d like to create a newsletter but don’t know where to start, head to Wakelet. 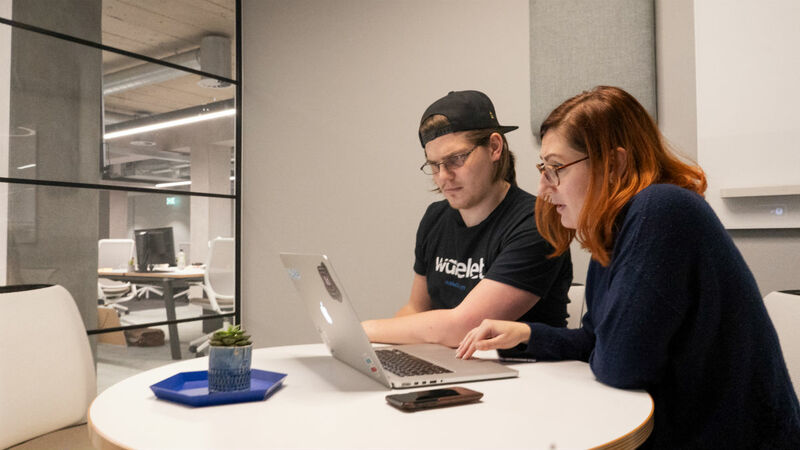 With Wakelet, you won’t need to worry about working with restrictive newsletter templates, In fact, it couldn’t be easier to start collating newsletter content on the platform. Each Wakelet collection can become an interactive newsletter. Simply add all the content you’d like to share – videos, links, tweets, photos, text, PDFs or more – put it in an order that makes sense to you and personalize it with a title and image. Take a look at how principal Mariah Rackley creates newsletters on Wakelet here. Once you’re happy with the content you’ve created, it’s easy to share it with your community. You could add a link – or even embed it – onto your website or blog, add it to the organisation’s – or your personal – social media accounts, or email it directly to the people on your mailing list. You’re not restricted when it comes to the type of content you include in your newsletter. If you work in education, you could highlight the digital creations that the students have been working on, share key resources that you’ve been using in class, or upload PDF files of homework tasks. Outside of the classroom, Wakelet newsletters are just as versatile. Maybe you’re a football club wanting to engage with fans by creating a newsletter of the top post-match tweets or a business wanting to keep investors informed of your latest press coverage and user feedback – it’s all possible within Wakelet.